FILE PHOTO: Taiwan President Tsai Ing-wen poses for photographs during an interview with Reuters at the Presidential Office in Taipei, Taiwan April 27, 2017. TAIPEI - Taiwan’s President Tsai Ing-wen vowed to defend her island’s freedom and democracy in a speech to mark National Day on Tuesday, her second since taking office in May, 2016, and said Taiwan would not bow to pressure. Cross-straits relations with mainland China have cooled significantly since Tsai took office, with China cutting off official channels to pressure Tsai and her party into recognizing the “one China” principle agreed on by the previous Nationalist government. China considers Taiwan a renegade province to be taken back by force, if necessary. 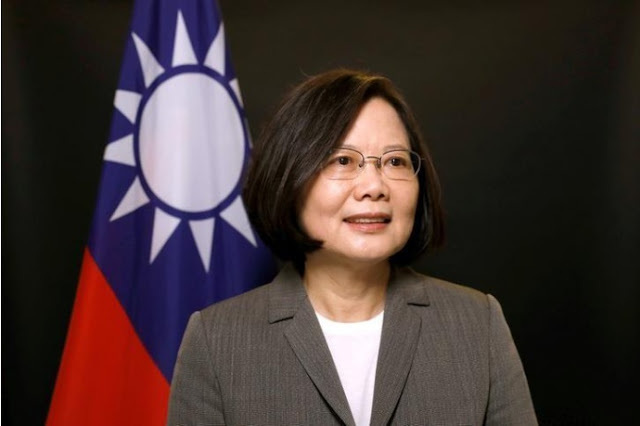 Taiwan’s President Tsai Ing-wen vowed to defend her island’s freedom and democracy in a speech to mark National Day on Tuesday, her second since taking office in May, 2016, and said Taiwan would not bow to pressure.